I have been cooking and baking A LOT! I guess it is the season for it! I enjoy making new dishes and when then turn out well, all the better! This is one of those dishes! I have a few ways I cook turkey. 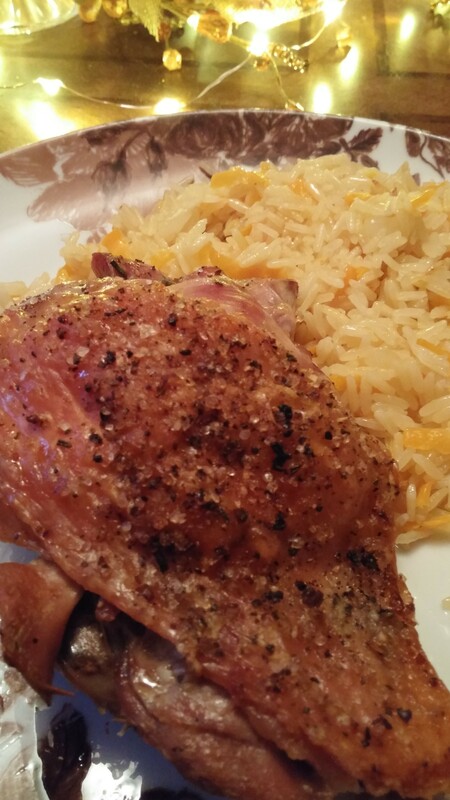 I had turkey thighs all ready to make one of my usual dishes and decided to try something different! 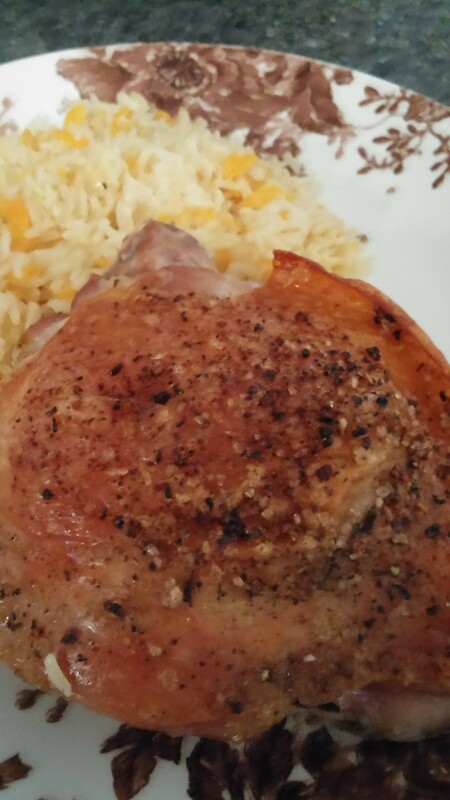 Since I love to roast, I thought it might be a tasty way to make the turkey thighs! Oh My YUM!!!! They turned out so tasty, definitely will make them again this way! Makes your home smell like Thanksgiving! Plus gets you ready to cook your big turkey in a few weeks! ENJOY! Place your turkey thighs in a baking pan. Carefully lift the skin away from the meat. Rub butter all over the meat and sprinkle your seasonings in there too. Lay the skin back down. Drizzle the top of the skin with the olive oil and the seasonings. Roast in a 400 degree oven for about an hour. Temperature for turkey should be 165 degrees. I served it with Carrot Rice Pilaf which I shared last week! ENJOY!